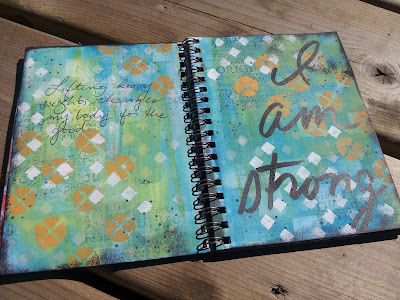 ***Journal Artista***: StencilGirlTalk Blog Hop! I admit, I got a little excited when I saw this design. It can be layered to make many designs, however I wanted to use it as a form of funky sequin waste! I started by applying gesso to each page. 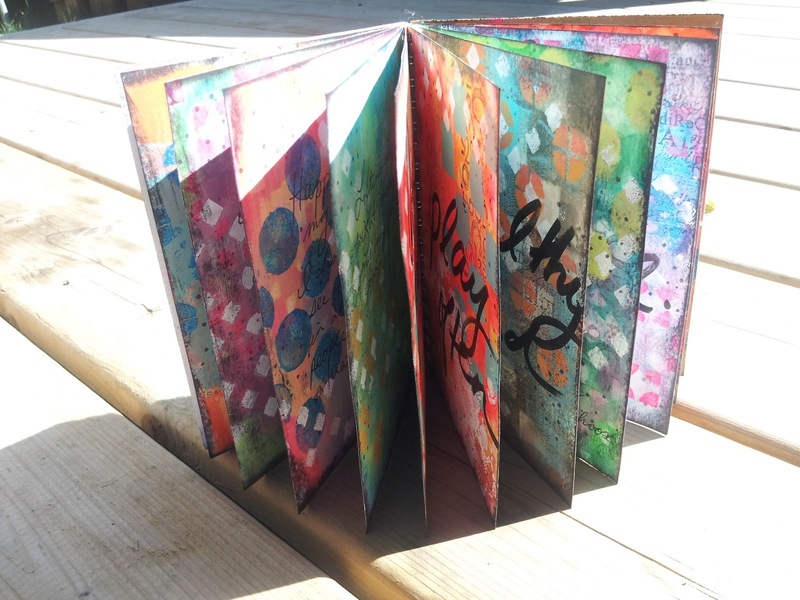 After the gesso was dry I applied a layer of Derwent Inktense Blocks in two different colours for each page, wetting with water. Next I took a baby wipe and wiped off the Inktense through the stencil. As shown above, I added a little background stamping with a few Prima stamps and Ranger Archival Ink. 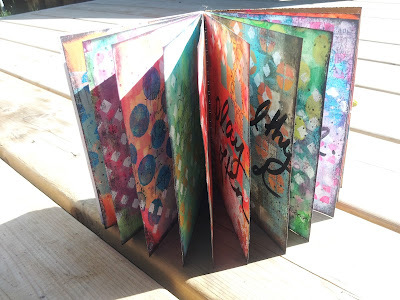 Stamping in the background is a great way to add visual interest and texture to your pages. I then added multiple layers of stenciling with craft paint and a makeup sponge, assuring each layer is dry prior to starting the next. 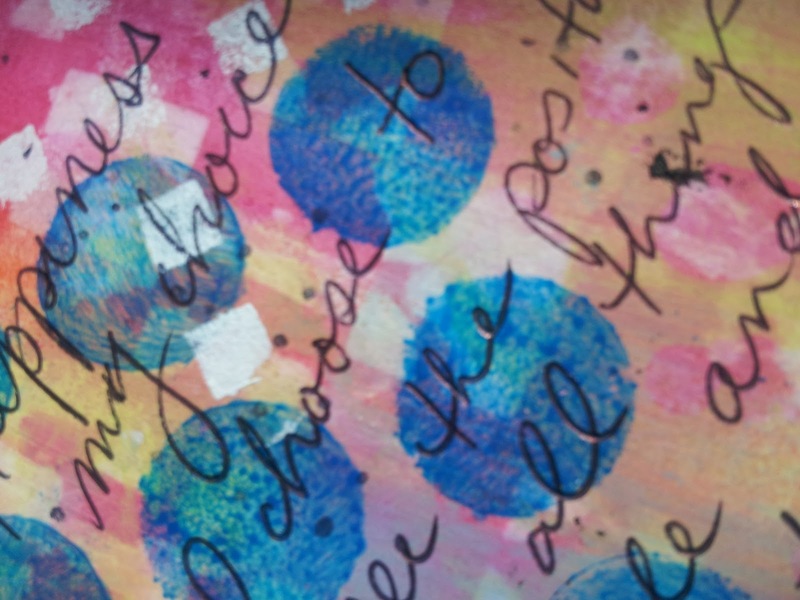 I chose to do two layers for each page, utilizing different areas of the stencil each time. 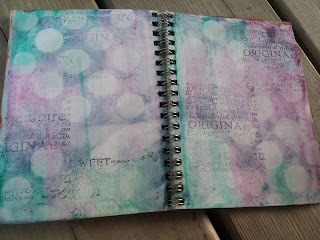 To finish, I chose to add a layer of the tiny diamonds section with cream paint to all pages. This helps make the entire book cohesive. 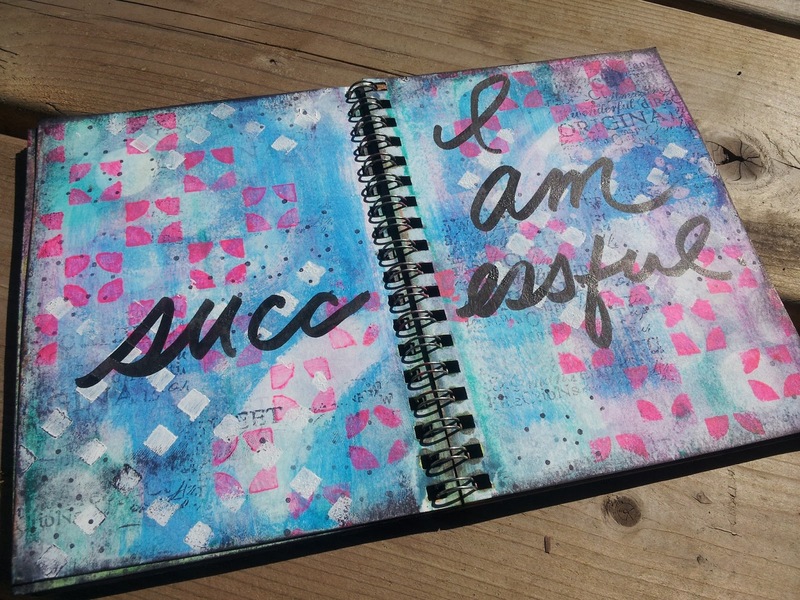 I really wanted to make a portable affirmation book for my fitness journey. I used a Faber Castel Big Brush marker in black and hand wrote each affirmation, and used an Archival Black ink pad. Check out all the finished pages! Be sure to subscribe to me on Youtube to see more tutorials! This techniques will be up soon! Thank you so much for visiting me! 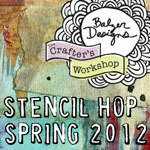 Be sure to hop onto the next blog in the list to see other wonderful ideas using this stencil! 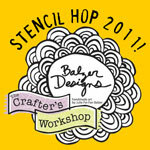 Also, don't forget that there is a wonderful giveaway going on on the StencilGirl Talk blog. Be sure to comment on that blog as well as all the others in the hop, the more blogs in the hop that you comment on, the more chances you will have to win! 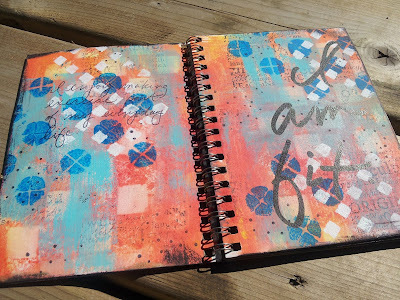 I love all the different looks you got in your book with the same stencil!!! Wonderful pages! Video!! YAY!!!! Love each and every page and thanks for showing the different stages of your process too! Great video too, thanks!! Love the hand journaling also and good luck on your fitness journey! I very much love your what to me is a mixed street-grafitti-summer feel look! Thanks for sharing. You've given me ideas :). Beautiful backgrounds! 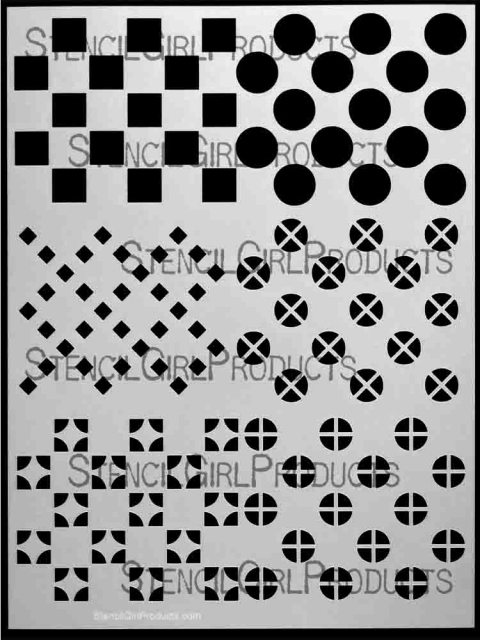 Thanks so much for showing what can be done with crossed rounds stencil! Thank you for your experiences and expertise with stenciling. Thanks for showing us ideas on this versatile stencil. 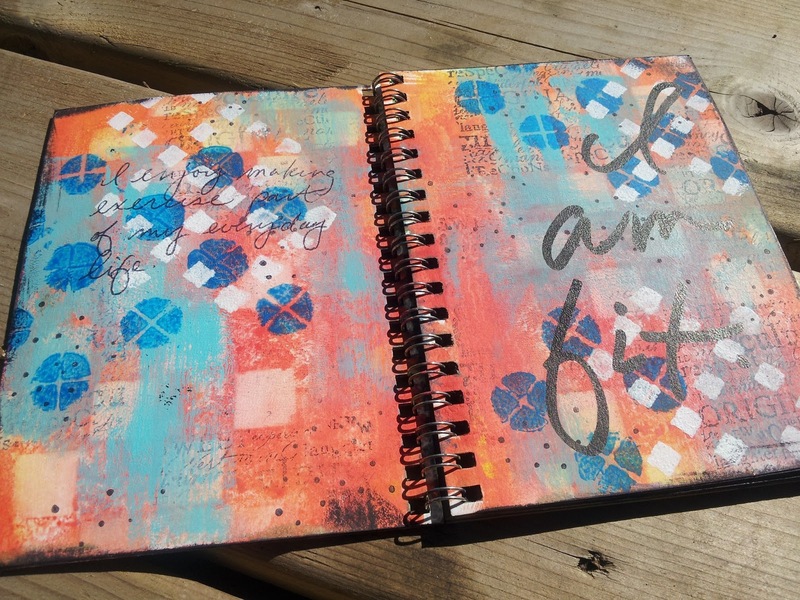 your affirmation book is great! And the stencil is great - I love backgrounds! I love how you wiped off parts of the color through the stencil as well as added. Very nice results. A very useful little book! Always enjoy your videos!!!!!!! I too love to do backgrounds and get stuck like Chuck sometimes:) Joanne's stencil is perfect for a special element and moving forward with the process of HAVING FUN!! Love the repetition and variety! Love your book with all the affirmations! Thanks for the tutorial! Look at all that journal page love. Just beautiful.. and great about your health journey.. you look amazing! 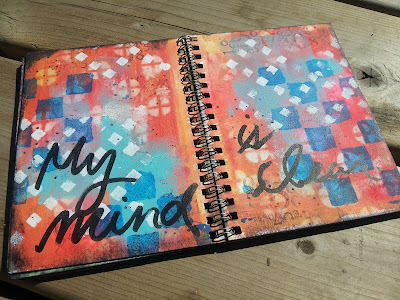 This is a beautiful little journal, love all the backgrounds! You are an absolute fountain of inspiration! Wow!! Another great idea!! And video, too. Thanks for the inspiration! 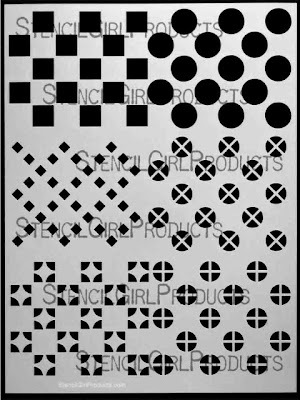 What a great stencil and so many possibilities! Love the affirmation book, too. Love the book, use of stencils is great. Wonderful pages and love the words you wrote on them! 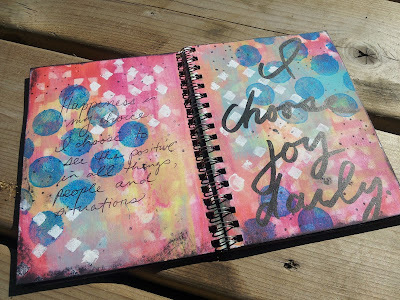 Your journal pages are beautiful! What a great book and great idea!! Thanks for sharing it with us! The pages are gorgeous and I found myself nodding my head in agreement as I read your encouraging words! Great book! Love how it was all done with that one great stencil! Colours of each page are amazing. What a great book idea. I love the use of words on all the pages. Beautiful pages. I just love your wonderful book. Love your affirmation book and the detailed description of its creation! What awesome pages. Love the way you blend your colours. I love your sense of colors in these pages. The repetition of these stencil shapes really brings a connective feel to the whole book. Awesome! 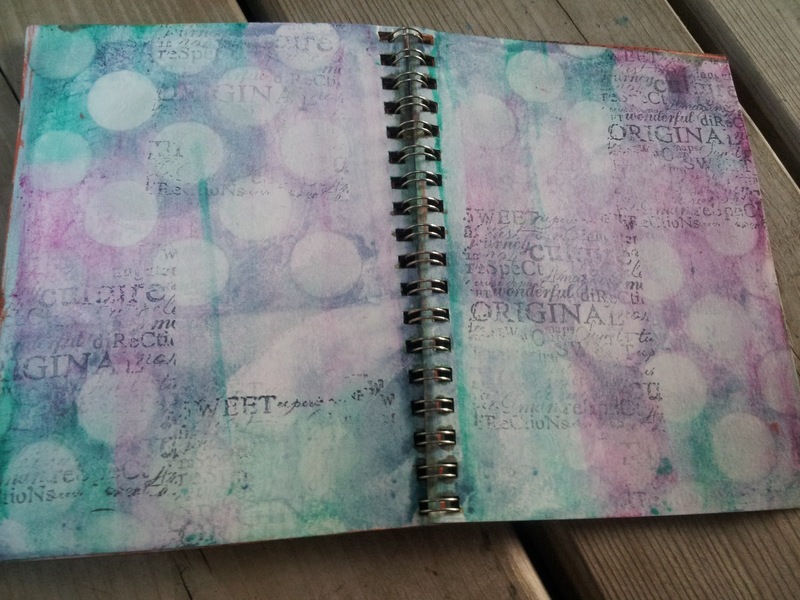 Gorgeous journal! 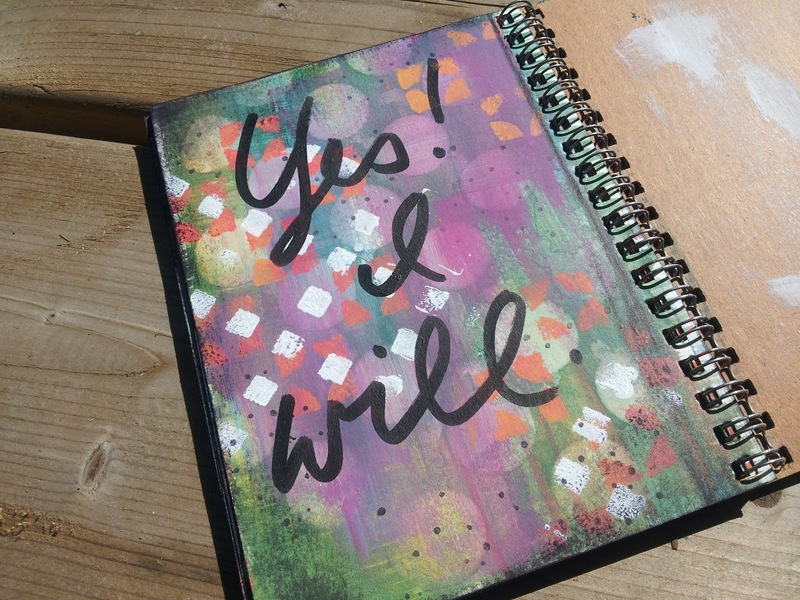 What a wonderful idea to create a small inspirational journal! 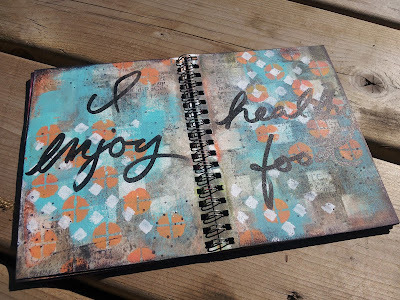 Love your journal pages! What a fun stencil. Great journal! Thanks for the idea of Inktense blocks for the background. It'd just the plan I needed right now! Wonderful process and creative use of these stencils. I love how you make such artistic 'grunge'. Nice to see this art post from you Paula! 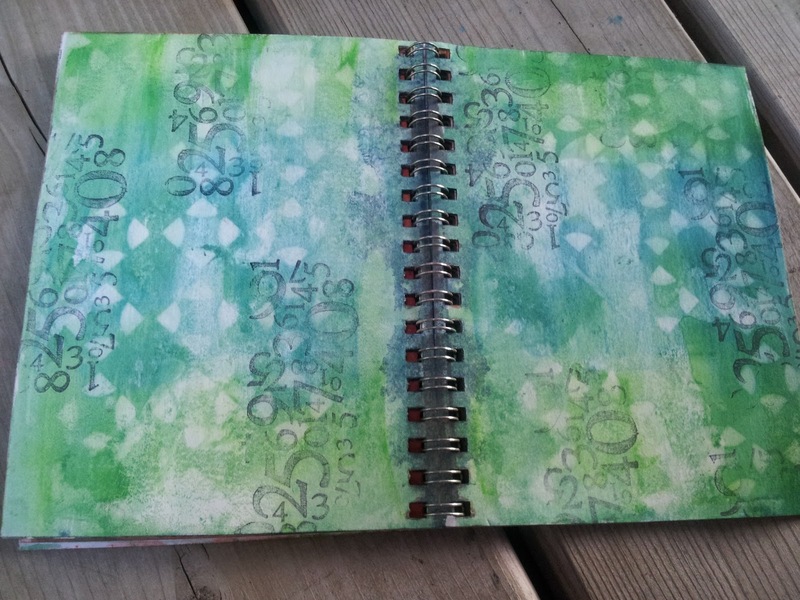 I love the variety of backgrounds you've created with just the one stencil. Will be trying this myself. I lovebyour wabi sabi way. Beautiful backgrounds. Very inspiring. Great journal with lovely colours and stenciling and a great idea for affirmations! Paula, I love your pages and the message is fabulous!!! Beautiful use of the stencil! Love the messages and all the variety!! great use of stencil I love it! 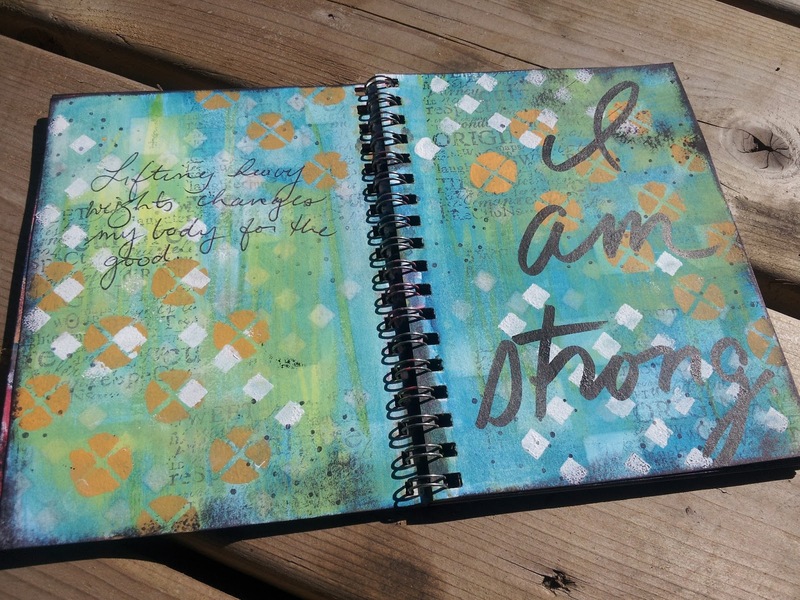 Love this stencil and the way you have used it to create pages in the whole journal! Just amazing! 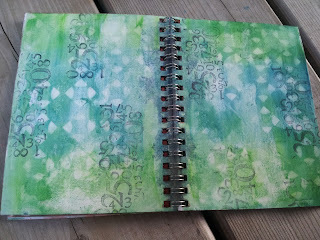 What fun - I am really going to try to use the stencils to wipe off color as much as put on color. I LOVE this stencil! You are an awesome stencil diva! I have learned so much from your videos...keep 'em coming! Thanks for the great video and a peek at your magazine journal! 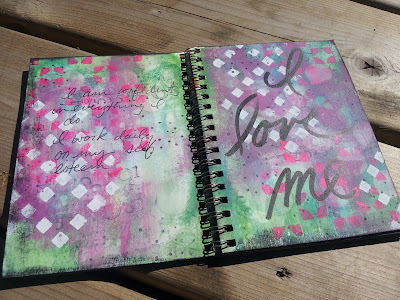 Love what you have done with the Stencil Girl Stencils, particularly with using the wipe out method. Paula, thanks for sharing your affirmation book with us. What a great way to use the stencil being featured. Your pages are amazing. Hoping to win the giveaway. 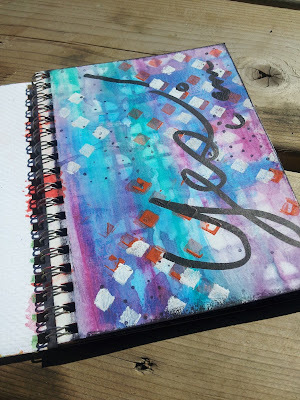 Glad you were part of the Stencil Girl blog hop! 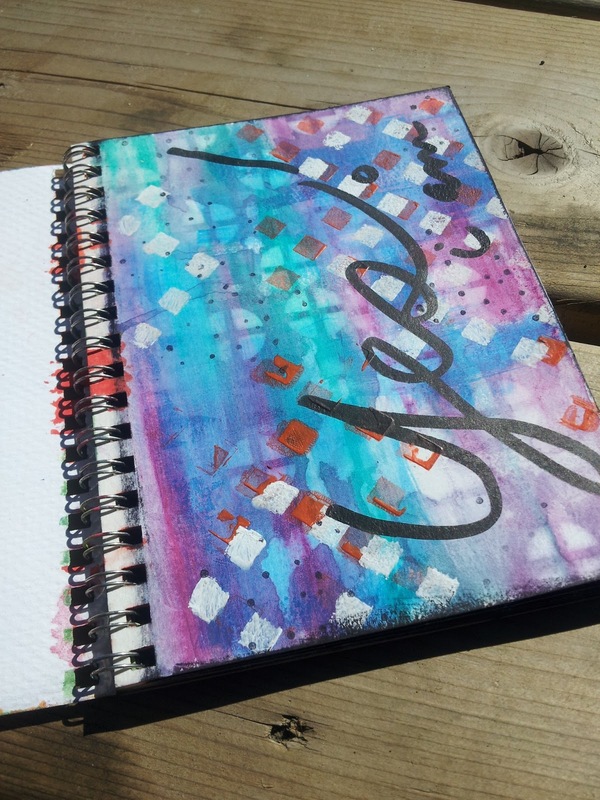 I've been watching your videos for quite some time and I never fail to get inspired, this journal is no exception. Love how versatile that stencil is. Paula Thanks for sharing your amazing work and always inspire me with the use of stencils, I love all of the Stencil Girl Stencils that you have used on your videos ... I want them all ! I love seeing all the steps in your process! It gives me ideas for the next time I'm stuck! I love how you wiped off the color with the baby wipe - what a great effect! I just love watching your videos they are so inspirational and so enjoyable to watch. Thanks for sharing your wonderful work with us. Great pages. It was great watching how they progressed. What an AWESOME little journal Paula! THANKS for sharing!!! 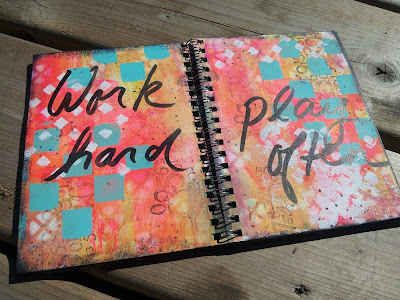 Love your use of colour on the different journal pages. Great work. I love your pages! Gorgeous colours & lots of fab layers. thanks for the video. loved seeing the finished pages and all the great color. i love hopping ... learn so much from each of you. I like your colors, and you make it seem SO easy! This one I will try! Thanks! Love that stencil...so many ways to use it!! Your pages are beautiful. Thanks! I love the idea of your affirmation book - it's gorgeous! Can't wait till you are streaming again. I miss you!! Even if I am mostly a lurker. Hi, Paula! 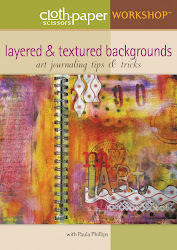 I am a longtime follower of (The) Journal Artista on YouTube, and delighted to find you now on the StencilGirl DT! Congratulations! 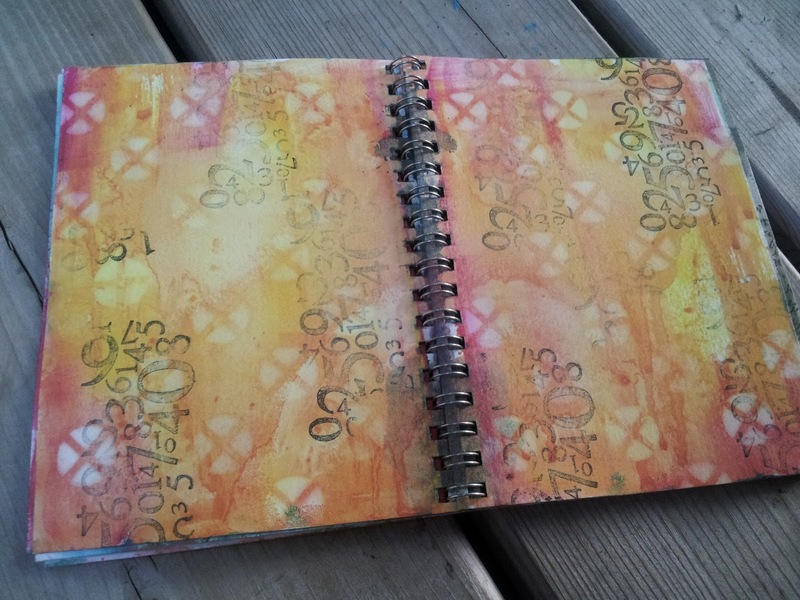 Great art journal you have created here with the help of Andrew's versatile new stencil! Well done, and a motivational piece! Paula, I love this little book you made. What a great way to use that stencil. Thanks for being part of the blog hop! wow, you make awesome backgrounds and I love the simplicity of the big word sayings!!! thank you for sharing. 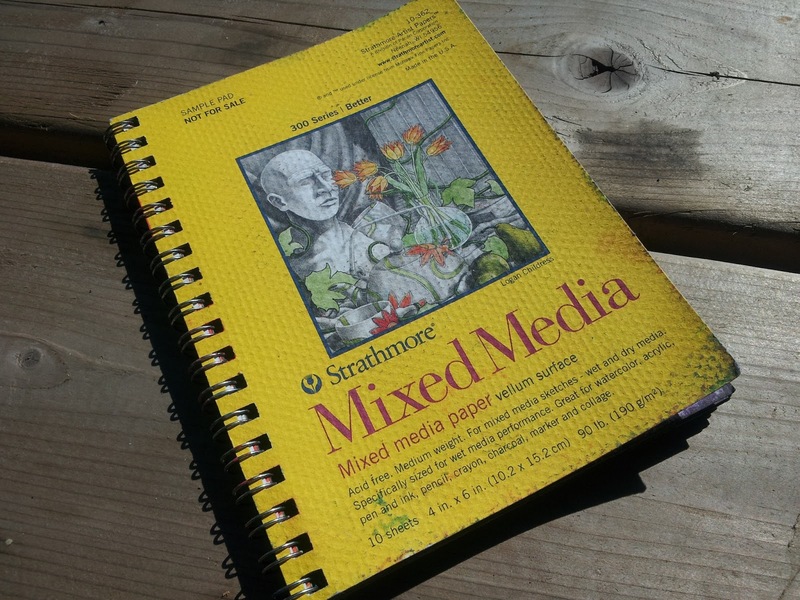 What a great idea for a journal--and love your creative techniques! Thank you for sharing! 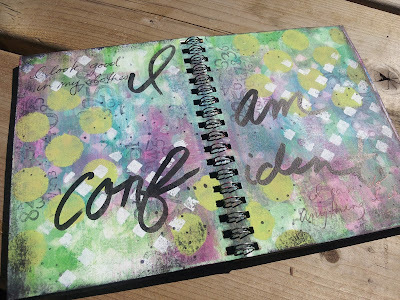 Great affirmation book, love your color combinations! Like all the different looks with one stencil - just awesome! I really like your technique and the book. Great ideas. Inktense pencils!!! Have to get my hands on some of them. I love, love how you worked the stencil fully! Awesome! Love the inktense baby-wipe tip! Will use it in the future for sure. Love your colors and stencil use. I love this. With all the layers and colors. Also the journalling you did is feel good and brought a smile to my face. Thank you for sharing.